Donald Trump became President promising he will make America Great Again. How much has the United States change under his leadership? 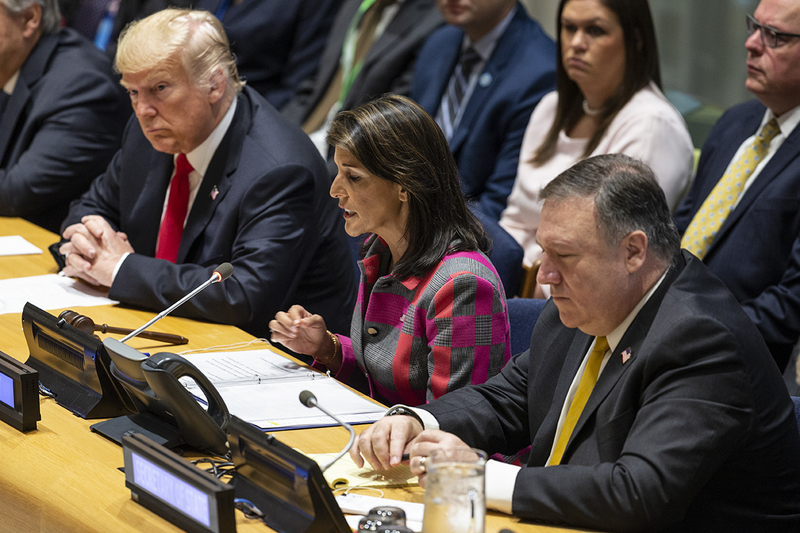 In his speech at the UN General Assembly he outlined America’s new position on the world stage. President Trump is a disrupter and he has the merit of forever changing politics. He introduced a new way of doing things, transplanting negotiations from the corridors of power, where everything was polite and secret, to social media, where sharp words reach an audience of billions in a matter of seconds. The real estate tycoon from Queens has lifted the lid and made a trademark out of saying hard truths in public, whether he attacks political adversaries, media or allied countries. Wearing gloves for delicate issues and using diplomacy is entirely out, and surprisingly, the method is successful. Trump has the merit of defusing the ticking time bomb that was North Korea. After some feuds that threatened to escalate into war, Kim Jong-Un agreed to meet Donald Trump in Singapore and yielded his most sound foreign policy success to date. Next in line was Iran, thrust in the spotlights once the United States withdrew from the Nuclear Deal. The decision signaled once more that President Trump would not wait on his international allies before making a move. The President seems determined to affirm that a country possessing the world’s biggest military should not be afraid to negotiate deals from a stronger position. While implementing the “America First” policy, President Trump made the bold decision of criticizing fellow NATO member states for failing to raise their military spending to the agreed 2%. Not surprisingly, Eastern European countries are the most concerned about ramping up their investment in mutual security, with countries like Poland and Estonia meeting the minimum requirement, and Lithuania even pledging to go up to 2.5% in the near future. The Cold War might be officially over, but the recent events in Ukraine and Crimea are a reminder that Russia’s ambitions are far from being over. Donald Trump argued that it is not fair for the United States to continue to have a trade deficit with the European Union, as long as the average American taxpayer contributes more for the joint defense of the Old Continent. The Trump administration imposed fresh import tariffs on products from China, in line with his campaign promise to protect the American industry, and hoping to swing the trade balance in a more favorable direction. The best that he can do is renegotiate trade deals on much tougher terms, a method that already has paid off with South Korea, Canada and Mexico. Ten years have passed since the global meltdown of the last financial crisis. The world economy is in such great shape, that not even an imminent trade war between the United States and China is scaring the markets. Under the Trump Administration domestic unemployment is down to such a low that one would have a hard time retracing it through history, and the numbers support his claim. Even if some view Trump’s protectionism as a warning sign, America has clearly shown recently that it continues to be the pack leader and also has signaled to the world’s nations that things are about to change.